I ʙᴇʟɪᴇᴠᴇ ɪɴ ʏᴏᴜʀ Zᴀɴᴀʀᴋᴀɴᴅ. Pʟᴇᴀsᴇ ᴅᴏɴ'ᴛ ᴀᴅᴅ ᴍᴇ ɪғ ʏᴏᴜ ᴡᴀɴᴛ sᴏᴍᴇᴏɴᴇ ᴛᴏ ᴘʟᴀʏ CS:GO ᴏʀ Dᴏᴛᴀ ᴡɪᴛʜ. Cᴏᴍᴍᴇɴᴛ ʙᴇғᴏʀᴇ sᴇɴᴅɪɴɢ ᴀ ғʀɪᴇɴᴅ ʀᴇǫᴜᴇsᴛ ᴀs ᴡᴇʟʟ. Disclaimer: This review is aimed solely at FFX; not FFX-2! I never really familiarized myself with this game until several years after it was released. I knew it existed and had been meaning to play it but never got around to it. When I did give it a go, I was hooked. It may have come in later into the series, but it had so much right with it. Stuff that really set it apart from the older titles. It was the very first FF game on PS2, first to be made by the now merged Square Enix, and the first time they made a fully voiced FF title. People like to bash on it's voice acting with the "HAHAHAH" scene but it's honestly good voice acting given it was the first. I was especially fond of Auron, Seymour, Tidus'(yeah yeah), Rikku, and Wakka's voices. Sometimes it was a little on the stiff side but it didn't bother me. As a whole you could tell they put in a lot of work to make it into the game. Another big point for me was the music. It felt tropical which is very fitting with the islandic setting. It's music you can read to, sleep to, or just chill to. Not to say it's all chill. Some including my favourite from the bunch(Enemy Attack) are very suspenseful and really engaging. Sends the message "YO CHIEF LOOK ALIVE!" really well. The scenery is relaxing and definitely sets it apart from all the woods, deserts, castles, and caves you'll see in other FF games. The world is built of many islands and some big cities but mainly small villages. Feels like you yourself are taking a tropical vacation and I for one think it has all aged pretty well. The side-quests and optional areas/bosses are all there. Some of the hardest side bosses making their appearance here such as Penance or the Dark Aeons. Some quests include things as simple as riding Chocobo to being as infuriating as dodging EXACTLY 200 lightning bolts. There's a Monster Arena which lets you fight monsters in a sequence, gradually getting tougher and more challenging. Some monsters can only be fought in the Monster Arena making it a must for any completionist. No review can be complete without mentioning Blitzball! Arguably the most engaging mini-game in all of FF. 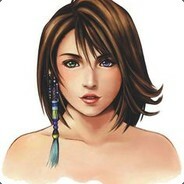 It feels like an entire new game inside of FFX alone. You can spend dozens of hours if not hundred just playing Blitzball. Think of it as a combination of Rugby and Football all underwater. You'll only be required to play Blitzball once in the story and it won't require you to win or lose but it's worth playing when you can and essential if you want the full experience(including the strongest weapon Wakka can get). You start with the Besaid Aurochs, the team your given for the storyline game but can expand to have players you meet throughout the world or from other teams. You level them up by playing games and it's worth leveling up a bunch as some can only reach their true potential at very high levels. They can learn abilities as you go which can and will help you win games. A game of Blitz is pretty short so don't worry if you think it'll be like a game of FIFA. Basic gist of it is you get the ball and kick it to the goal. There's one break in between every match and whoever has the most scores by the end of the game wins. I dunno why but like I thought that emote was the moon from Majora's Mask for a hot second.